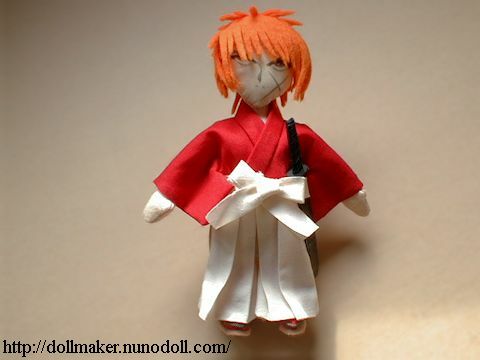 Himura Kenshin mini doll. 12 centimeters. Iron print face and felt hair. 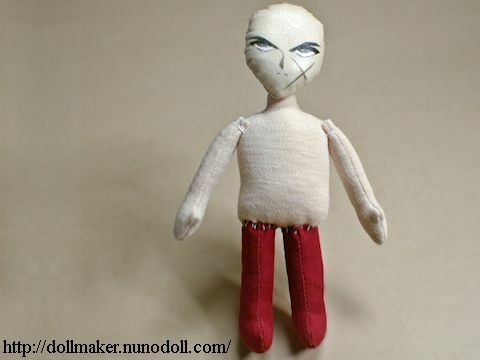 You cannot use the images drawn by other people when you make dolls for profit. Edit the image if you transfer the face. 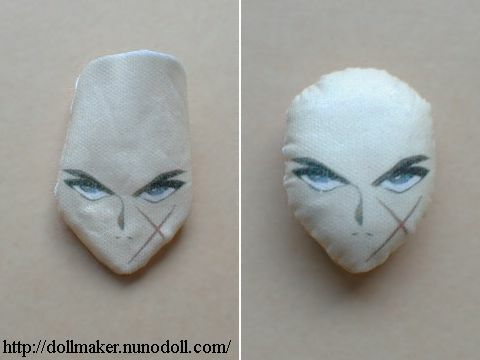 Erase hair. Use only brows, eyes, nose, mouth, and ×. Paint background with color of skin. It needs twice the width. 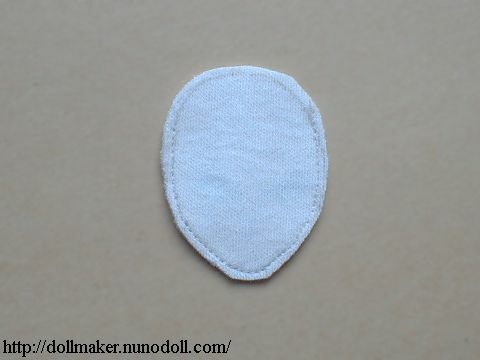 Print out it on iron transfer paper in mirror image. 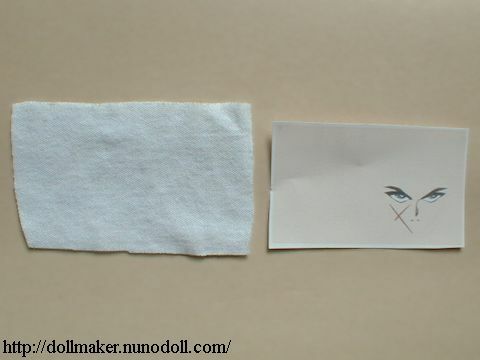 Transfer it on white fabric. Dashed lines are rough standards. Transferred cloth is hard and crackable. Handle it gently. 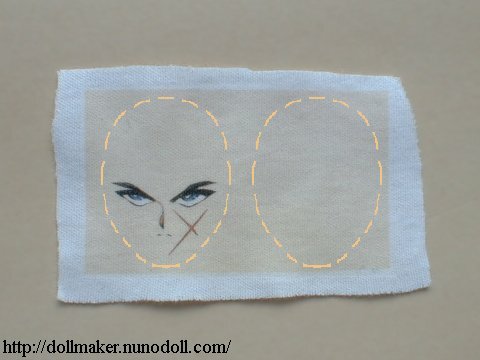 Fold the fabric and sew the outline of the head. Stuff polyester fiberfill. Stitch the opening. 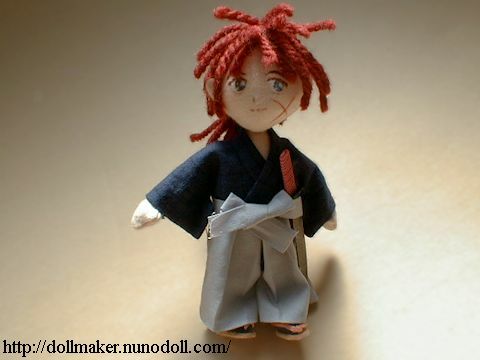 Sew the body and the arms of stretch fabric lined with thin cloth. 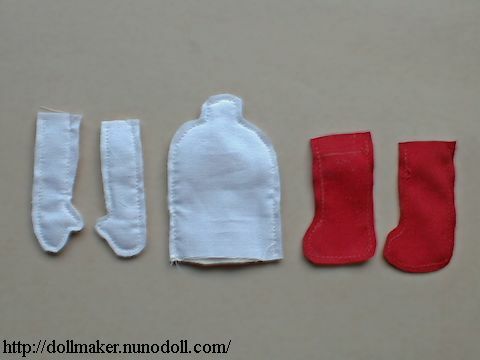 Sew the legs of broadcloth. Then cut out. 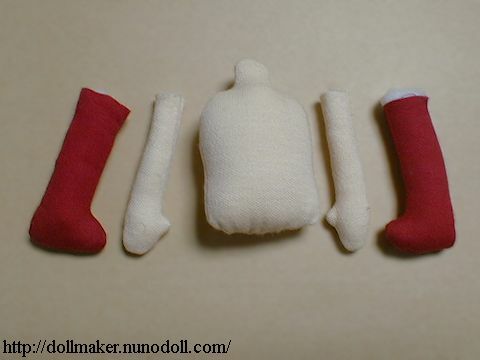 Stitch the legs to the body. Refer to the page of Santa claus. Stitch the head to the neck. Stitch the arms to the body. Painted face and woolen yarn hair. Cotton clothes and paper katana.